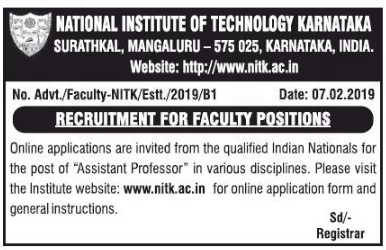 NIT Karnataka has advertised in THE HINDUSTAN TIMES newspaper for recruitment of Assistant Professor jobs vacancies. Interested and eligible job aspirants are requested to apply on or before 13th March 2019. Check out further more details below. About College: One of the oldest and pioneer Technical Institutions in India started in 1960. World class infrastructure and highly equipped labs and class rooms with all modern amenities. A 300 acre campus set in sylvan surroundings in Mangalore, an important centre of trade and commerce in Karnataka. 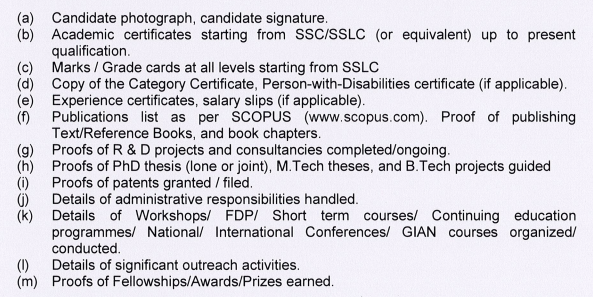 How to Apply: Interested and eligible candidates are requested to apply ONLINE and then send print copy.